It's been a while since my last post, but I am so happy to read your emails and hear that this is still a valuable blog for so many of you and your loved ones. Today I'm here with a guest post from Melanie Valenzuela from Cerebrum Health Centers. The topic of "What to Know Before Your Child Takes an ADHD 'Test'" is one that's so relevant today. Melanie's breakdown is clear and concise, and I hope it will help parents witnessing ADHD-like symptoms in their children make the right decision about whether or not to get them tested. So, without further adieu, take it away, Melanie! Does your child have a tough time with his or her behavior? Is it becoming a problem at school, home or socially? 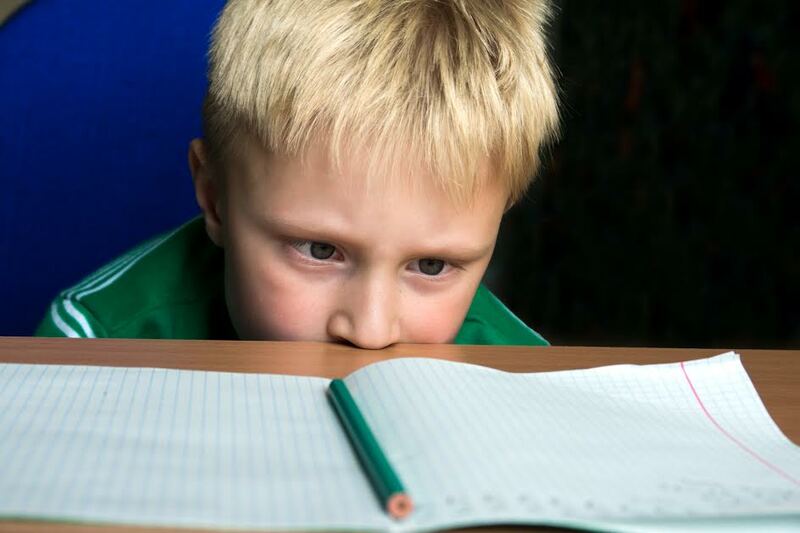 Do you suspect your child might have ADHD? Many children may seem to have symptoms of this disorder which could also be something completely different or just a phase. How do you know? Don’t panic. Take a deep breath, and then take a look at the following information to see if you might want to pursue a professional ADHD diagnosis or investigate to see if your child may be having a hard time with something else. And rest assured knowing that if it is ADHD, many ADHD treatment options are available to help. The general feeling in current medicine is that true ADHD can be seen in a child before the age of seven years old and the symptoms and behaviors must be present for over six months. If your child falls outside of these guidelines, most likely there is something else at work and not necessarily ADHD; your child could be depressed or have anxiety over a current situation at school or home. There could be other learning difficulties present or symptoms of a hearing or vision issue. And while ADHD can and does affect both boys and girls, boys seem to be about three times more likely to have ADHD. Does your child exhibit symptoms in more than one area of life? For ADHD, the behaviors associated with it occur in more than one type of setting: home, school, out in the community or at play. Issues in only one area, like at school, might be a conflict with a teacher, classmate or group of students. But behavior issues in both school and at home, or at home and on the playground may be related to ADHD. Do they exhibit all three symptoms of ADHD? Current information about ADHD says that your child should be exhibiting all three of the following symptoms in order to be classified as truly having ADHD. First, be aware that there is no one “test” that can definitively say your child has ADHD. You may need input from those who observe or interact with your child on a regular basis, including teachers, coaches, or a babysitter. That being said, if your child exhibits the behaviors listed above in more than one area of their life and on a regular basis, you may receive a positive diagnosis by a professional. If the behaviors don’t seem to ease, this also may point to a positive diagnosis of ADHD. Just as there is no one definitive test, there is also no one treatment or “cure” for ADHD. But symptoms can be treated with great success and most people, once diagnosed, can go on to lead not just productive, but very successful lives in future endeavors. Many famous people have been diagnosed with ADHD so it does not have to inhibit your child’s future success. ADHD treatment usually consists of a combination of medical and behavioral treatments. Stimulants, other non-stimulants or antidepressants are the types of medications used. Behavioral therapy for ADHD may include things such as more organization, and routine, fewer distractions and limited choices, a different type of discipline than before, and/or using a goals and rewards system to moderate behavior in positive ways. Don’t panic or get frustrated if you suspect your child has ADHD. Having information about whether your child exhibits the most common systems of the disorder will help you decide whether to investigate further. And if they do, know that many ADHD treatments are available that can and should be tailored to your child. Your child can be as productive as the next child. Arm yourself with information and keep a positive outlook. Your child will feed off of your attitude. Together you can work to improve the current situation greatly. Melanie Valenzuela has been writing about business topics for several years and currently writes on behalf of the ADHD specialists at Cerebrum Health Centers. When not writing, she can be found working on her world perspective through travel; or challenging her heart rate by playing tennis, running or attending a Kansas City Royals baseball game. You can find her on LinkedIn.